One of the better aspects of Android is the way hackers have taken to improving on the software shipped by device makers. It's not uncommon for hackers to add needed apps, Google Play, remove restrictions imposed by the device maker, and generally make a given device more useful. There are even hackers who have worked to develop completely new firmware to replace the original (like CyanogenMod) or to port a firmware from one device to another. That last is what we have today.One XDA Forums member by the name of GalaxyUser has reported that he has extracted the firmware from his Kindle Fire HD 8.9 and hacked it to run on Google's Nexus S smartphone. But the sound isn't working yet, nor is the SD card slot being recognized by the firmware. Galaxy User is planning to also get the phone functions working as well, though he doesn't know how long that will take. 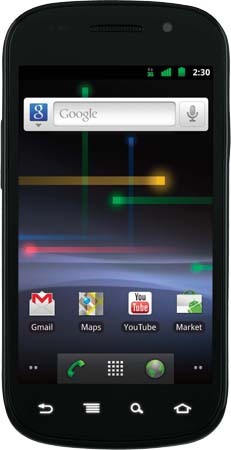 The Nexus S is a 2-year old smartphone with a 4" screen, single-core 1GHz Samsung Hummingbird CPU, and a 5MP camera. While this tablet has gotten a recent update to Android 4.1, having the new option of installing an Amazon firmware is going to set the smartphone apart from the pack. So far as I know this is the first time anyone has ported a Kindle Fire firmware to another device. Most every other project I know of involved hacking the Kindle Fire (or Kindle Fire HD) to add new features, a completely new ROM, or new apps. You can find the firmware over at XDA, along with instructions and a list of what's still not working. As always, this might not work. Caveat Emptor. I’d be hard-pressed to say they’ve improved the OS itself. It seems to me that they’ve improved the Android experience for many owners of android based hardware that the carriers have disowned once those owners signed a contract. I edited the post. Thanks!